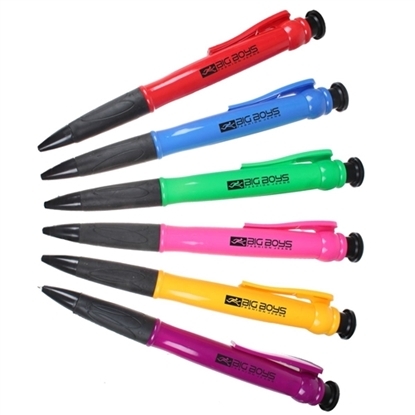 Jumbo sized 8" retractable Giant pen with extra-large soft rubber grip for exceptional comfort. This is a BIG PEN!. Pen is 8" L.
The XL Jumbo Pen really lives up to it's name! 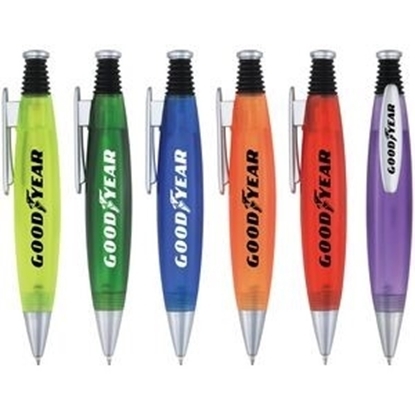 This extra large ball point pen features an oversized, colored barrel and a large imprint area so your logo cannot be missed! Choose from 6 bright colors. 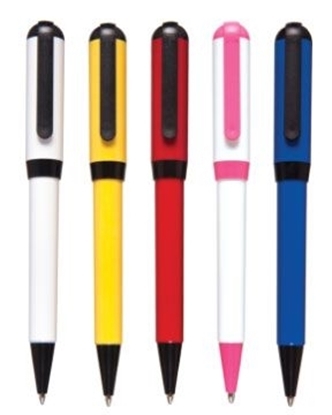 Jumbo-sized 8" click action ballpoint pen with chrome tip and plunger. 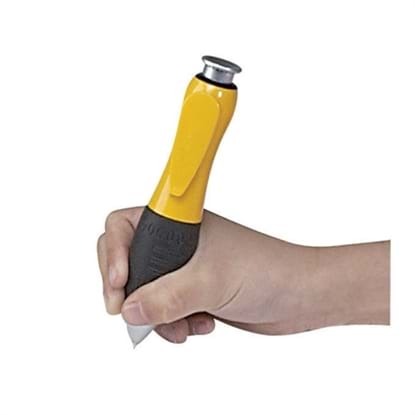 Extra large soft rubber grip for exceptional comfort. Pen is 8" L.
Venetia Ballpoint Pen Jumbo retractable ballpoint pen. Spring accordion designed plunger. Frosted color barrel with matte silver accents. 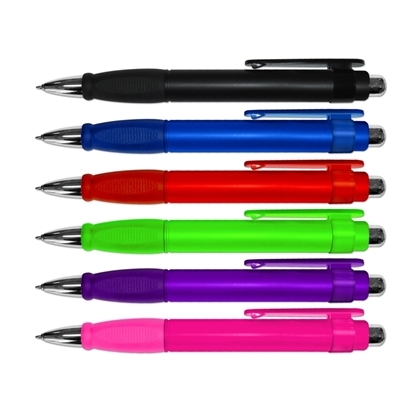 Pen is 4 3/8" H x 7/8" H.
Jumbo sized click action plastic ballpoint pen. Translucent color body with rubber grip and clear clip. 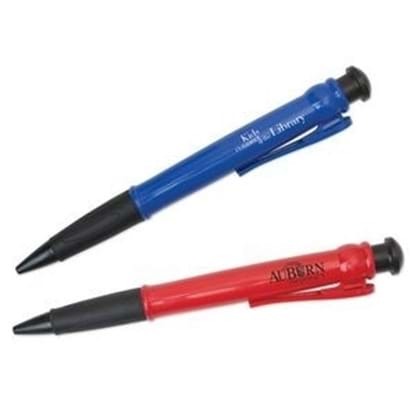 Pen is 7" L.
Jumbo 4 color push pen, black ink, blue ink, red ink, green ink. White pen barrel. Extra large jumbo barrel, black comfort grip. 6 1/4" long, 11/16" wide barrel jumbo pen. 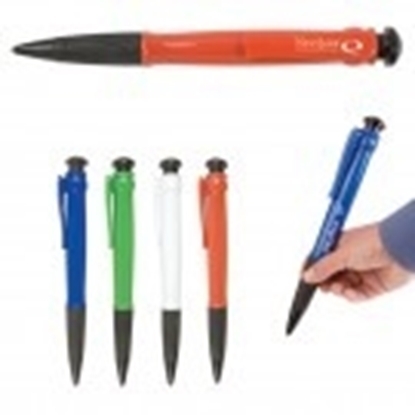 Mypromotionalpens.com offers the largest and best priced selection in Promotional Giant Jumbo Pens. We will price compete and we won't be under sold. 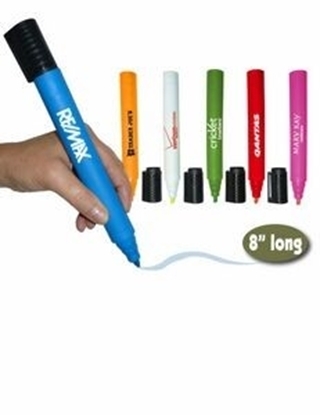 Let our graphic designers make your personalized Giant Jumbo Pens standout above the crowd at no charge. We won't stop until you are completely satisfied with your custom Giant Jumbo Pens art proof.Use category search filters on your left to help narrow your search to find exactly what you are looking for.